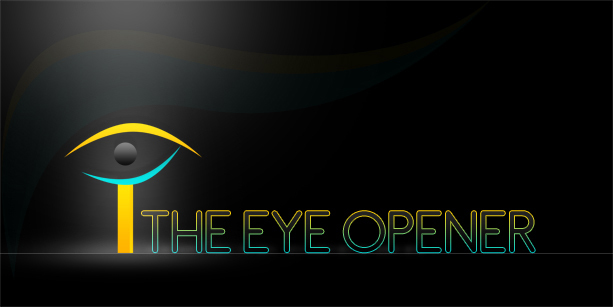 The Eye Opener is a youth talk show, hosted by Nelson, Don and Danni. It’s dedicated to opening the eyes of the Bahamian population to the world around us by providing a perspective on national, regional and international issues through the eyes of the youth. Hi I came across your show a couple weeks ago. I applaud the effort of putting forth the views of the youth because they are indeed the future of this country. What I would like to respectfully request is that more effort be givne to speaking standard English on the show. Some attention should also be given to having an orderly discussion amongst the guests and hosts. There were points when I honestly could not understand what was being talked about and ultimately I became so frustrated I could not listen to the show to the end. It is FACT that Christianity has killed more people than BOTH WORLD WAR 1 and 2 COMBINED. Listening to the show, I am pretty sure that Nelson is trying to different but HE IS GOD conscious. Many people try so hard to disprove God, but if he really wanted to see God, have a look beneath his flesh. The ladies on the show seem to be so adamant about the equality of women. There are a lot of views being thrown out, and everyone has their own opinion. But what really matters is where is your source of truth lie? If your truth is the Bible, then you have to understand that God created men and women equal, however, he created them with different roles, even from the beginning. He created Eve as a helper for Adam. Now a days, in a fallen world, for the most part, we just do what we have to do to survive. Just because men are starting to give up their roles because of their own reasons doesn’t mean that women are entitled to headship – they have been doing so as a means of survival. You also have to realize that sin has caused men to misuse their headship by making women “barefoot and pregnant”; that’s not what God wanted, but it’s what happened. My point is, we as women have to be careful of how we are becoming so dominant. We should be nurturing GOOD men and helping them to be the men God wants them to be, instead of bruising their egos. At the end of the day, that’s what all women want – a strong man who they can stand by. Women can do amazing things, but if we stand by the Truth, God’s word, we have to give God credit for creating ROLES for both the man and the woman and stand by that.